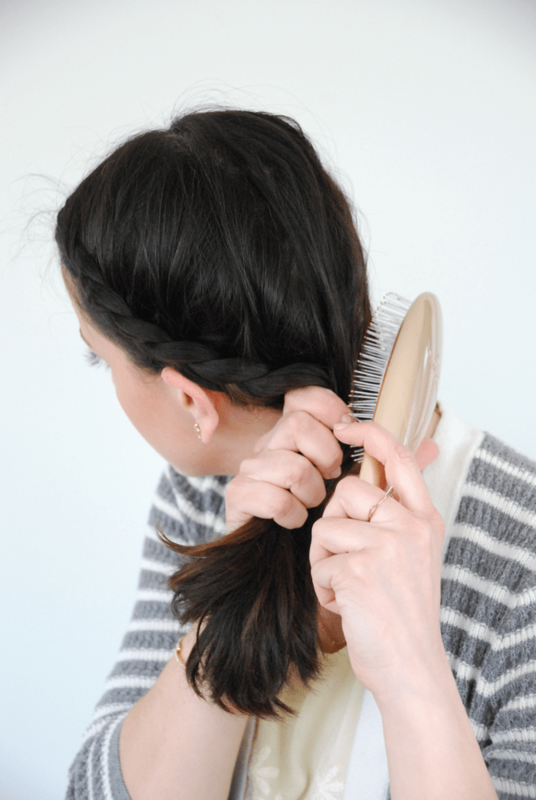 I’m excited about today’s hair style post with Olivia Garden! I love getting my hair done, but that doesn’t happen as often as I would like. I usually leave my hair down or up in a top knot and when I get bored with that, I usually chop off all of my hair. 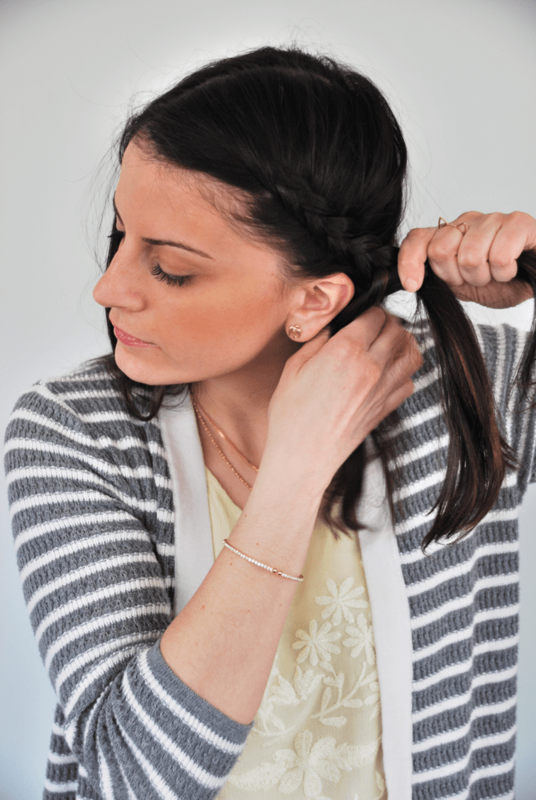 For those times in between hair styles, I love wearing braids. 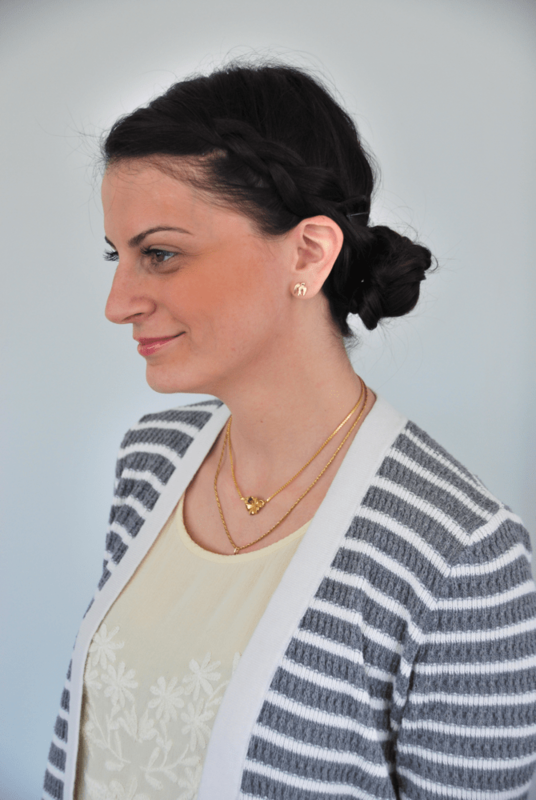 A favorite hair style of mine is a side faux French and fishtail braid bun. First, I sprayed my hair with dry shampoo. 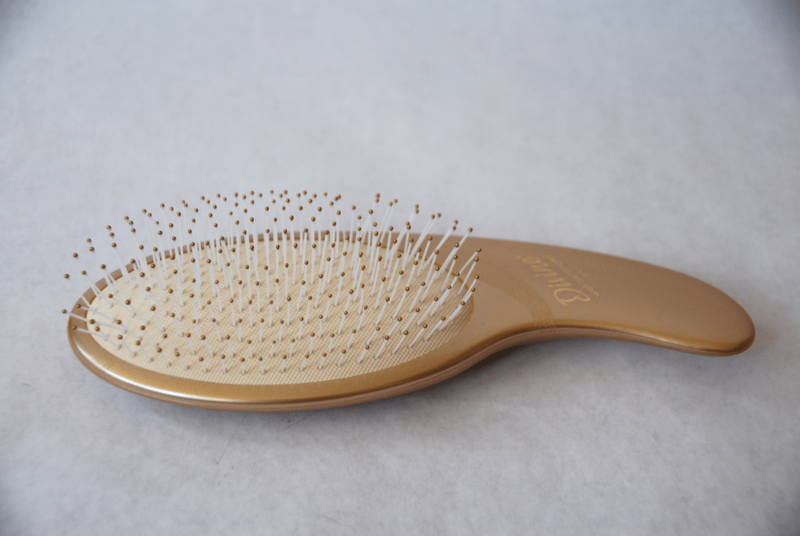 Then I brushed my hair with my Olivia Garden Divine wet detangler brush. 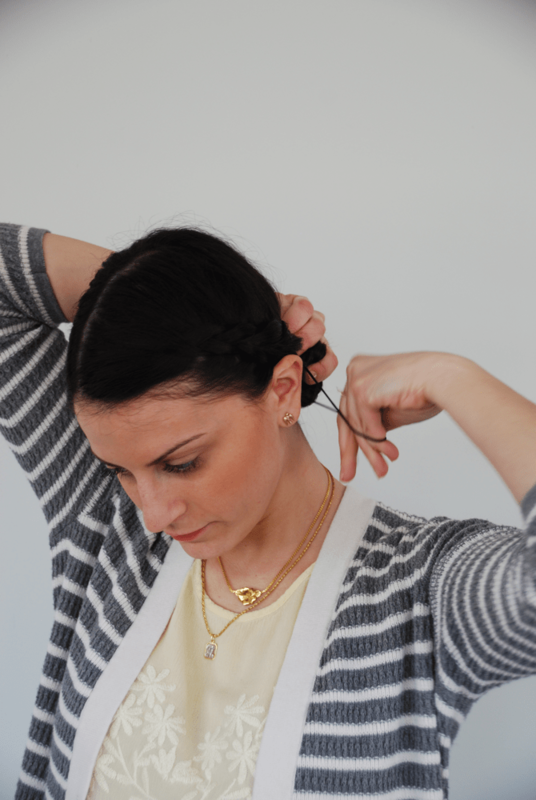 I started braiding with three pieces of hair from the top of my head and every loop I grabbed more hair. I stopped braiding when I reached my ear. 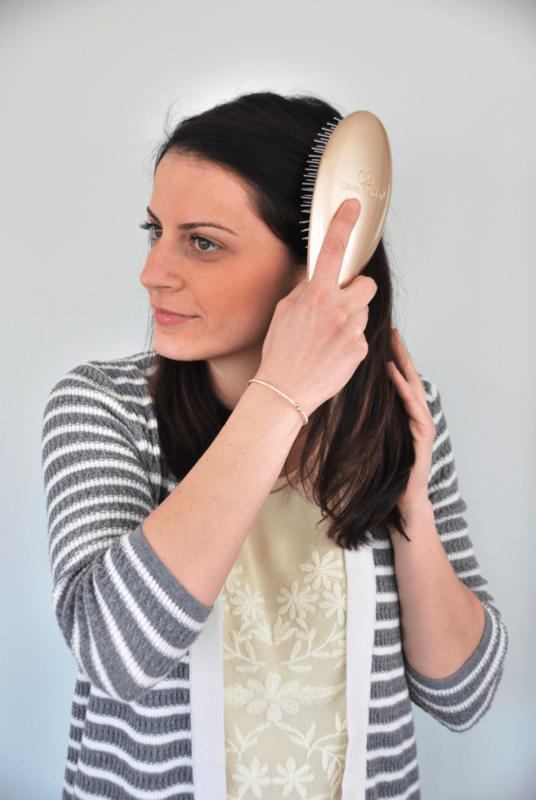 Then I brushed the remainder of my hair to smooth it altogether. I then fishtail braided the rest of my hair. 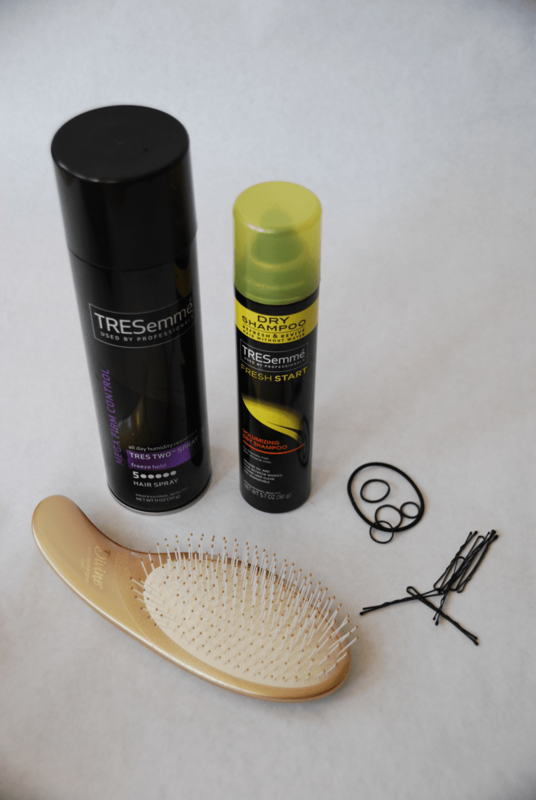 I then looped my hair around on the side of my head and used some hairspray to keep everything put. 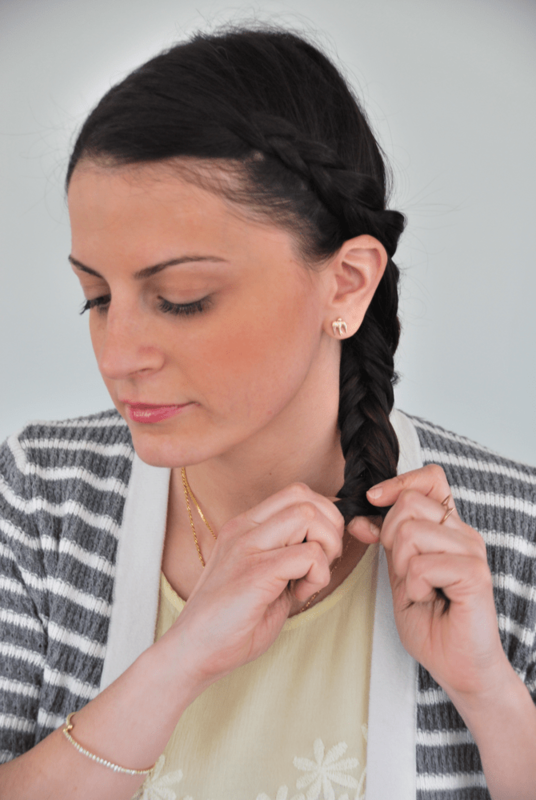 Voila – the perfect faux French fishtail braid! What do you think? Easy and cute right?! This post is sponsored by Olivia Garden. All opinions are my own.